Not much difference in the sales activity this past week, from the prior week, other than in new listings, which went down. Sales are pretty much the same. Waiting patiently for our big “Spring Market” and hoping it arrives, with fresh inventory and eager buyers! Here are the sales statistics for the last week of April, first week of May. Stay tuned to this site for weekly Monday updates, and for additional information, please give me a call at (805)937-5777 or complete the Contact form below. Your comments are also welcome, and you may voice them a little further down, under the Contact section! Thanks! Sellers who want to increase the possibility of a quick sale, and are planning to do some interior painting for marketing purposes, should consider their color choices. Buyers are affected by the color palettes in any home they tour. As they are walking through a home, the colors they see can have a profound effect on their emotions. The thing is, it may be so subtle that they don’t even realize it’s happening, but it can affect their purchasing behavior. Neutral tones – white, grays, browns, and black – seem to be the “go to” colors for people who are painting their homes with the intention of selling. However, the most neutral of neutral colors can make a room seem sterile and lifeless. Browns and grays can be boring and washed out. Black goes in and out of favor, but many interior decorators think that no room is complete without some black accents to bring out depth in the color palette. Red elevates the energy of a room. It also raises adrenaline, blood pressure, heart rate, and respiration. In big rooms, red can bring people together. Rich, deep red creates a strong impression. Ideal for: living room, bedroom and dining room. Yellow is most often associated with happiness, but if used too much, it can cause frustration and anger. Also, a baby’s room should not be painted yellow. Studies show it will increase the amount the baby cries. Ideal for: kitchen and bathroom. Blue is the opposite of red, in that it slows blood pressure, heart rate and respiration. Lighter blues are calming; darker blues tend to create feelings of sadness. Ideal for: bedroom and bathroom. Green has the calming effect of blues and the cheering effect of yellow, all the while being very easy on the eyes. Ideal for: bedroom, dining room, living room, and home office. Purple, in darker tones, can be deep and sophisticated. In lighter shades, it can bring out calming effects, without being chilly like lighter blues. Ideal for: bedroom. Orange is about excitement and energy. Like yellow, it evokes enthusiasm, but doesn’t bring out frustration. It’s best used in moderation, and not suitable for a main color palette. Ideal for: workout room. Isn’t it interesting to discover how color can impact the sale of your home? For more tips on marketing your home for sale, please give me a call at (805)937-5777 or complete the Contact form below. I would be happy to offer you a complimentary consultation! Ready to jump into the market? Whether buying or selling, my 28 years of experience will be on your side! Give me a call at (805)937-5777 or complete the Contact form below, and let’s get started! An expected lack of interest in buying and selling during the holidays is reflected in the sales volume for last week, the second week into December. Inventory is slightly lower, as sellers decide to wait until the new year to market their homes. Still, prices are holding and closed escrows rose a bit over the first week of December. Let’s hope the interest rates hold steady too! Yowza! Look at the difference in prices since last year! Inventory was almost half of what it is today, and I remember distinctly how difficult it was, and it’s still tough today. If your plans for 2014 include buying or selling a home, please give me a call at (805)937-5777 or complete the Contact form below. It’s going to be a very good year for buyers and sellers! As is typical, sales picked up again after the Thanksgiving holiday, with a few more new listings, and more sales, during this first full week of December. Although showings drop, sellers can be assured that the buyers who are looking during this time of year are really serious about making a purchase — so sellers needn’t give up hope, and should keep the property in great showing condition during the holidays! Same goes for buyers — sellers who are most eager to sell will not pull the home off the market just because of a few holidays. Here are the statistics for the first week of December, followed by the same time period in 2012! 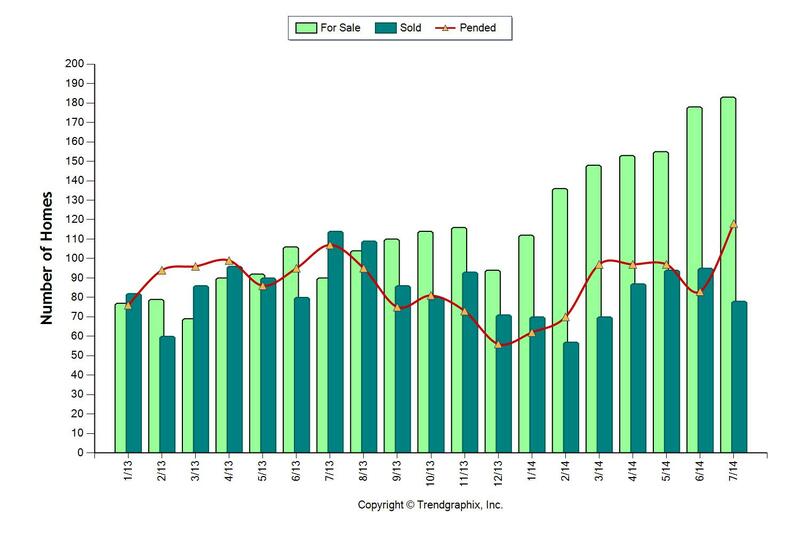 Interesting, all categories are higher priced in 2013 except new listings! For great service based on 27+ years of professional experience, please call me at (805)937-5777 or complete the Contact form below. Thank you! Sales slowed down considerably during the last week of November, coinciding with the Thanksgiving Holiday. It’s to be expected, of course, so it’s nothing shocking or to be concerned about. Activity will pick up for a week or two, and then slow down again the last week or two of December. Here are the statistics for last week! Hope your Thanksgiving was wonderful — now on to the Christmas holidays! For more real estate information, please give me a call at (805)937-5777 or complete the Contact form below. Thank you! From the California Association of REALTORS® comes the results of a recent survey asking buyers what features they most hope to find when purchasing a new home. In our area, we may not have quite as many energy-efficient features as in other weather-driven regions, such as the desert or mountains. Our beautiful, moderate Central Coast climate means we aren’t necessarily forced to retrofit or build our homes to accommodate extreme weather, although many “green”-conscious people opt to do that, and yes, you can reduce your utility bills by doing so. For more real estate information, or for advice about buying or selling a home, seek an experienced REALTOR® — with 27 years of professional real estate experience, I am ready to provide outstanding service to you! Please give me a call at (805)937-5777 or complete the Contact form below. Are home sales slowing down a little as the holidays are approaching? Possibly a little, although not by much. 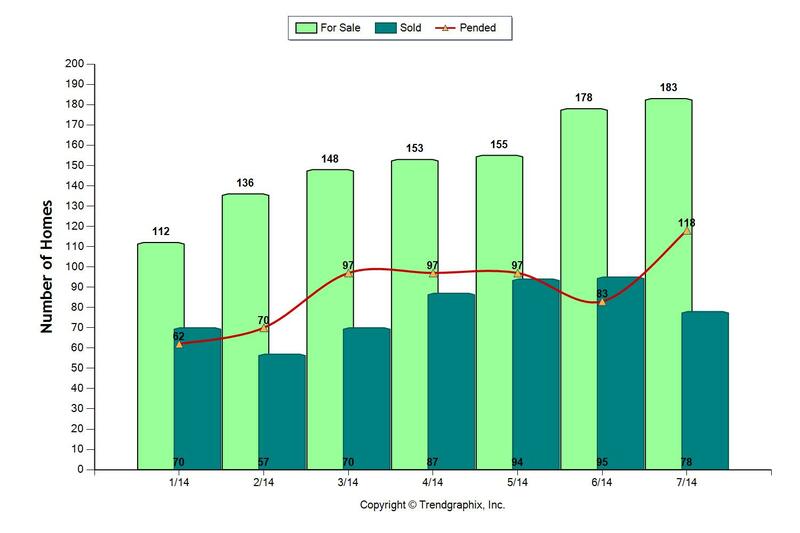 Inventory is definitely better than six months ago, as you’ll see from the two charts posted below, but activity is holding, with a total of 44 sales vs. 42 sales a month ago. One thing is certain: there are folks who need to sell, and folks who need to buy, and those people will not let the holidays deter them! What a difference in 6 months between the New Active prices and Closed Escrow prices! When you are ready to buy or sell, I would appreciate the opportunity to be of service. Please call me at (805)937-5777 or complete the Contact form below. The market in Santa Maria and Orcutt seems to be slowing down a bit as evidenced by the last few weeks’ reports. Is it the somewhat typical Fall seasonal slow-down? Is it the result of all the uncertainty of our government stalemate? Or perhaps, a combination of the two? The distress market has nearly disappeared, with a paltry one or two properties classified as REO or Short Sale selling, and very few listings in those categories. Prices are up and interest rates are still very low, which is a win-win situation for both buyers and sellers. Let’s hope that we can continue to have a stabilized market here in the beautiful Santa Maria Valley! Please feel free to call with any questions about the market, or to schedule an appointment to buy or sell a home! (805)937-5777 or complete the Contact form below, and I’ll get back to you shortly!